Crystal window prism. 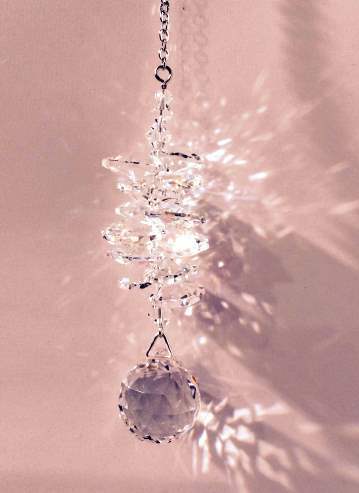 A cascade of ice crystals, finished with a clear crystal prism .75" diameter ball. 2.5" long.